Building the systems, without knowledge of the inner workings, which include heights, clearance’s, and head pressure, can be complicated.The trial and error process is very time consuming, not to mention the money spent learning that something won’t work! I spent weeks working out different variations to insure I found the right combination that was going to work-First time and every time! As 2015 spring begins in the Mid-Atlantic Region, I am going to start this building season by saying “OK, I give up!” I am tired of taking the calls about poorly built systems or trying to talk someone through the errors they made when trying to reproduce my work. I’m flattered, but time is a commodity that I have little of with my responsibilities around our suburban homestead. 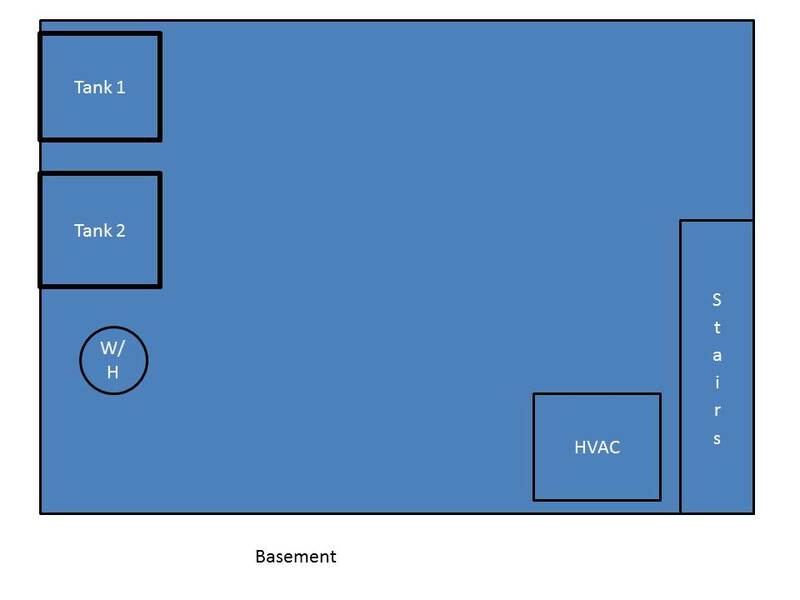 I have no dreams of grandeur to become the foremost aquaponics system builder on the east coast: I just love working with aquaponics. It is an enjoyable hobby, which allows me to marry two of my hobbies: Gardening and animal husbandry. I will still be producing new systems this year, but for the first time, I will be offering a class on aquaponics, basics, system construction, and maintenance. 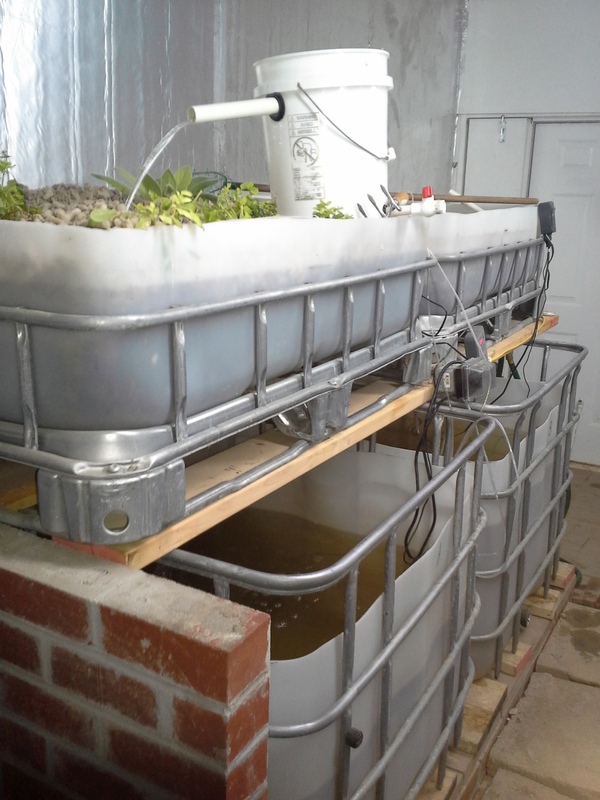 This will be a hands-on half-day class and you will leave knowing enough to build and maintain your own IBC tote aquaponics system. When you complete this class, you will walk away with the knowledge you need set-up and run your new aquaponics system successfully. We will be offering 3 variations of the class on Saturday May 9, 2015. Choose the one that is right for you. 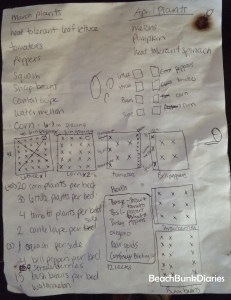 11:00 am Aquaponics Basics-This will include everything listed above in the “Greenhouse Tour” plus the book and video to take home. 1:00pm Tank Only Class-This class will be spent hands-on in building your own tank system to take home right after class*. It will include all instruction on the mechanics and maintenance of the IBC tank system. You will be able to leave the class with the knowledge to build more tanks or variations to fit your needs in your own space. This class will include Sylvia Bernstein’s book & video to take home. FULL CLASS-Best Value for a 1/2 day in training, learning about aquaponics and leaving with all the information and material you need to get started with your own aquaponics system when you get home! * Includes everything in both of the above classes plus the book and DVD but as an added bonus full paid tuition will include ONE guest FREE. So bring an interested friend, neighbor, or relative and they can participate with you. Because of the amount of space necessary I must limit participation. Once the class is full the Pay buttons below will no longer work. I have already started receiving phone calls about the class, so HURRY and reserve your spot soon to insure your space!